CAN a car, an affordable compact SUV no less, have ravishing good looks? 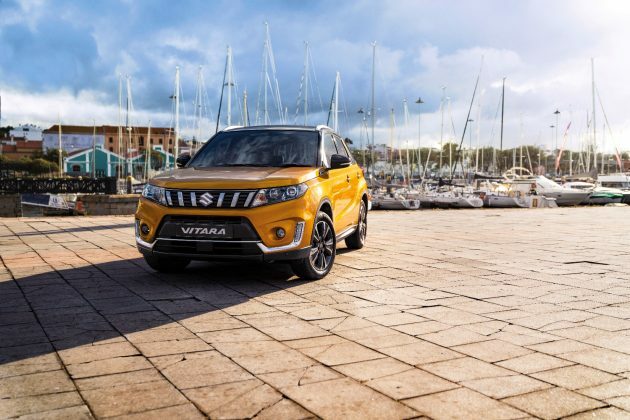 If such a thing is possible then it could well describe the new 2019 Suzuki Vitara – the overhauled new version of Suzuki’s flagship SUV. 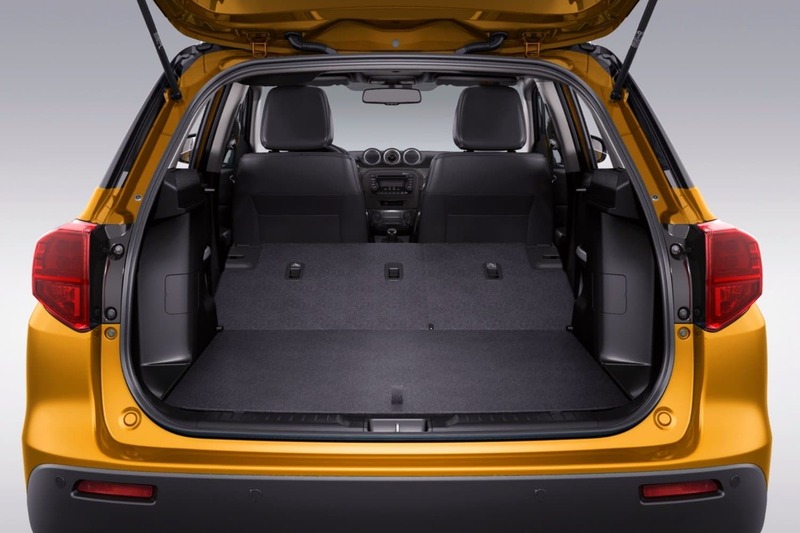 Featuring a better look and feel inside and out, the new Vitara was launched in Australia this week, and is packed with a truck load of enhancements. The new range is sans the diesel variant though. The stand out could well be the vastly improved interior, with a new soft touch premium dash, redesigned front arm rests, a panoramic glass roof on the turbocharged models (more on that later), and new geometric patterned seats. A new centre clock features, along with a 7.0-touchscreen infotainment system, with SatNav, MirrorLink, Apple CarPlay and Android Auto. 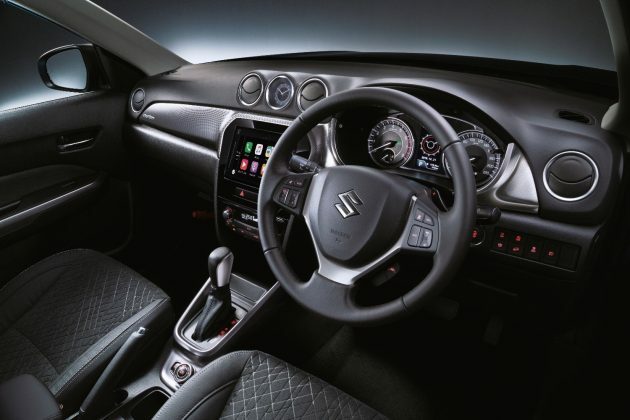 There’s also an enhanced multi-function steering wheel with paddle shifters to add to the fun. 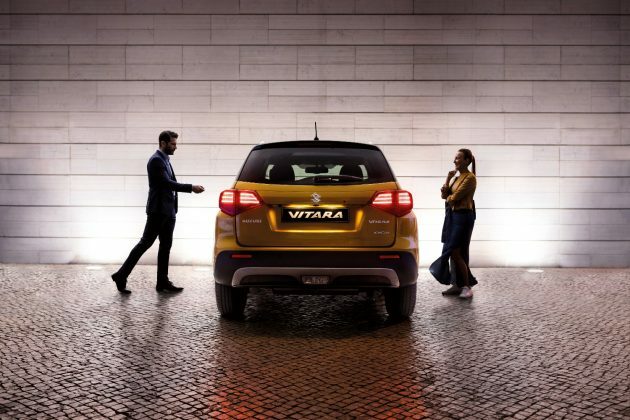 It’s lifted the new Vitara and made it feel very premium, with the new models also enjoying six airbags, ESP, front and rear parking sensors, autonomous emergency braking, lane departure warning, weaving alert and blind spot monitors. There’s also adaptive cruise control, rear view camera, rear cross traffic alert and a mammoth 710-litres of boot space to complete the package. The line up for the 2019 Suzuki Vitara starts with a 1.6-litre naturally aspirated 2WD option, available in a choice of automatic or manual (the only manual in the range) and delivering 86kW of power and 156Nm of torque. Fuel economy for the base power plant is impressive too, at 5.8-litres/100km for the manual and 6.0-litres/100km for the auto. The middle model if you like, is the Vitara Turbo, featuring a 1.4-litre boosterjet turbo power plant. That engine produces 103kW of power and 220Nm of torque, with the Turbo edition again a 2WD variant, which is this time, only available in an auto. Fuel numbers are again impressive at 5.9-litres/100km. The top-of-the-line model is the turbo boosted ALLGRIP 4WD. It too is automatic, with good fuel economy stats coming in at 6.2-litres/100km. The refined ALLGRIP system provides a much smoother driving experience in 2019 as well. It also comes with four pre-programmed driving modes; Auto, Sport, Snow and Lock. We figure they’re self explanatory and don’t need too much of an explanation here. To complete the package, Suzuki has added a new chrome grille, lower chrome trim around the front bumper and chrome roof rails. The colour range has changed too, and now includes Cool white, Silky Silver and Cosmic Black as standard options. From there, they’ve mixed things up a bit, with cosmic black roof paint being matched to Bright Red, Atlantis Turquoise Pearl, Savannah Ivory, Galactic Grey and finally, the newest colour, Solar Yellow. 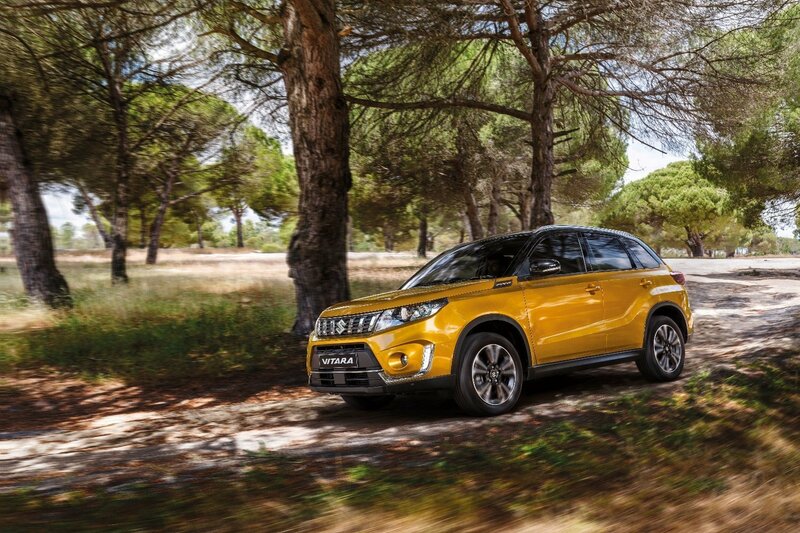 Australian pricing for the 2019 Suzuki Vitara kicks off at $23,990 for the manual variant of the base model, and $25,990 for its auto sibling. The Turbo auto hits the road at $30,990. For the ALLGRIP 4WD variant you’ll need to part with $35,990. All prices are drive-away. Our test vehicle was part of a national launch program drive day, held at the Melbourne 4×4 Training and Proving Ground. Hey Cameron . Did you get an opportunity to drive one . We a toying up whether the new model is worth it . A real shame that they have left out the 3 cyl 1.0 Litre as the 1.6 is starting to show it’s age and is rather agricultural .The 1.0L turbo offers more torque . I think Suzuki made a mistake there. I was fortunate enough to drive the new Turbo, however we drove them off the tarmac. I was impressed by the agility of the 1.4 turbo. Keep tuned though to see a review of the Vitara on the road. Why is the title? There is nothing said about the driving experience in the article. All it says what everybody have known since last July. We had a very limited time with the new Vitara, and only in an off-road situation, as you can see from Cameron’s comments above. We will have access to the 1.4-litre turbo ALLGRIP AWD model in early March, when we can provide a full review, hence why this is called a ‘Quick Drive’ and not an ‘Auto Review’. STRAP yourself in, hang on for the ride, dirt's gonna fly, ground's gonna shake tonight. The lyrics of Aussie country singer Adam Brand's hit song, Dirt Track Cowboy, and an apt description of the huge bucket of fun that is the 2018 Subaru WRX STi Premium. A STYLISH and spacious new Renault Koleos Special Edition SUV brings further enhancements to the popular model, and is set to sit above the Intens edition in the range.